CHICAGO -- While hydrogen as a transportation fuel has faced many challenges over the years—little fueling infrastructure, few vehicle options and high development costs—the winds appear to be shifting in its favor. Royal Dutch Shell PLC is partnering with Toyota Corp. on seven hydrogen fueling sites in California, adding to the state’s total of 25 stations. The sites may be funded partly by the California Energy Commission, which is weighing $16.4 million in grants, while Shell and Toyota would contribute $11.4 million, according to Bloomberg. Toyota has made a target to reduce its new vehicle emissions by 90% by 2050, which would require it to shift away from internal-combustion models toward technologies such as hydrogen fuel cell vehicles (FCV), including its Mirai sedan. Shell, meanwhile, has long dabbled in hydrogen fueling. It has seven stations worldwide, including two in the Los Angeles area. The oil giant’s CFO, Simon Henry, recently projected that oil demand could peak in only five years. The borough of Lodi will be the first in the state of New Jersey to host a hydrogen fueling site. Air Liquide is partnering with Toyota to expand fueling infrastructure on the East Coast as the automaker rolls out the Mirai FCV. In 2017, the team plans to begin building a dozen hydrogen fueling sites in New Jersey, New York, Rhode Island, Massachusetts, Connecticut and Delaware. These include sites under construction in Hartford, Conn., and Braintree and Mansfield in Massachusetts. The Lodi site is located off and Route 17 and is close to the Garden State Parkway and Route 4, which made it an ideal spot, Aaron Harris, technical director for Air Liquide's hydrogen energy systems, told the newspaper. Air Liquide is also adding two hydrogen fueling sites in New York. The company has entered into a long-term lease with Applegreen PLC, a Dublin-based c-store chain that is expanding into the United States, for a location in Hempstead, N.Y. The second lease is for an undisclosed site in Brooklyn, N.Y. Air Liquide plans to have both sites operational by the end of 2017. 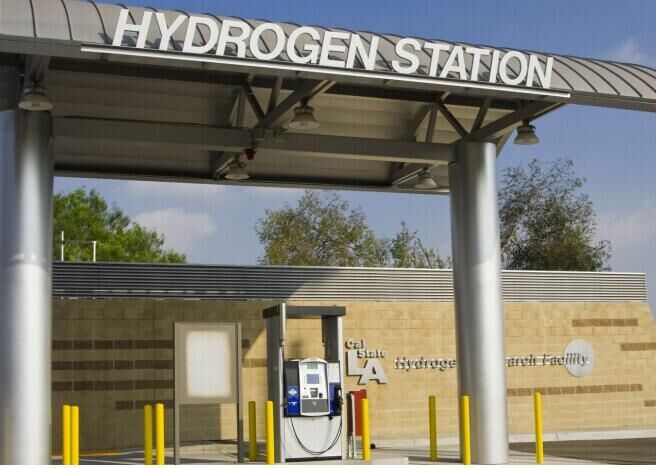 A provider of hydrogen fueling infrastructure has announced it has reached a key pricing milestone for the alternative fuel at five of its California fueling sites. The stations are offering hydrogen at less than $10 per kilogram. "There has also been a marked increase in vehicles using our stations, and an even greater outlook for the volume of hydrogen fuel-cell electric vehicles to be coming to market in 2017 and 2018," said Kiczek.